This free-motion quilting pattern is structured on a 2×2″ grid, which is marked my painter’s tape guides during the quilting process. I practiced it with pencil and paper before-hand, a good thing to keep busy while watching television. 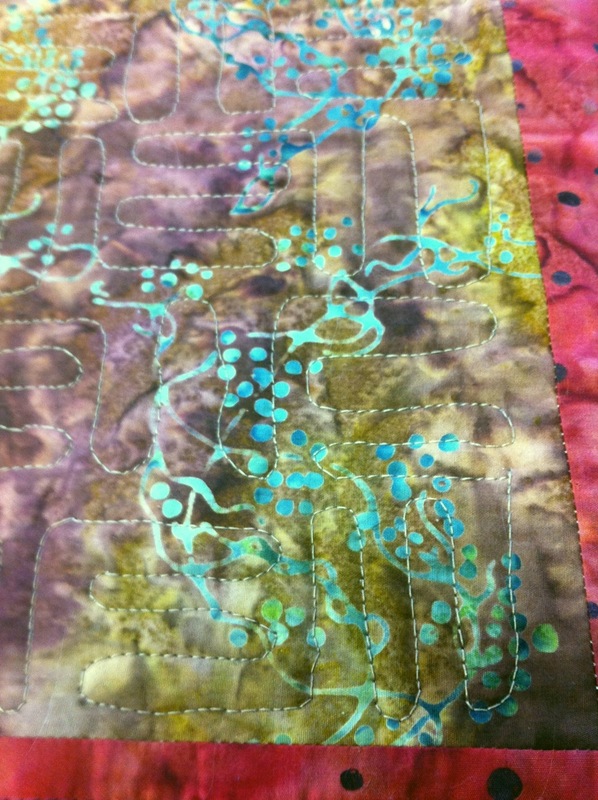 This entry was posted in Quilting, sewing and tagged freehand machine quilting, pattern, Quilting, sewing. Bookmark the permalink.